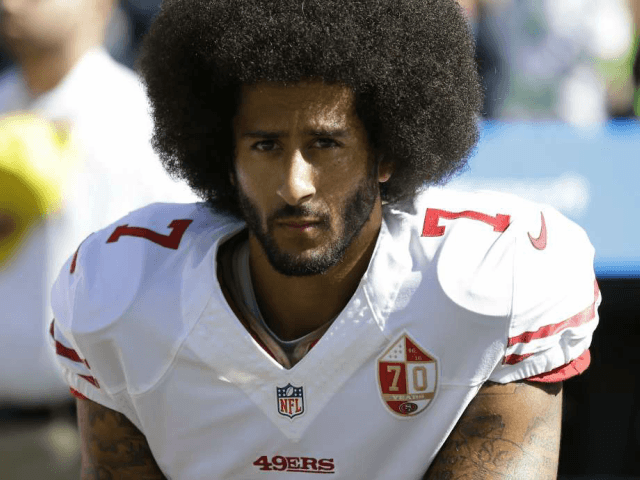 A report says that last year a high-ranking member of the U.S. military tried to persuade the Baltimore Raves not to sign Colin Kaepernick. According to TMZ, when Ravens coach John Harbaugh was mulling the idea of giving Kaepernick a shot at joining the roster during the 2017 season, he reached out to some of his trusted friends for advice on the idea. Apparently, a friend of Harbaugh’s who is in the military warned that Kaepernick was not well regarded by members of the military services. TMZ further alleges that the officer told Harbaugh that if he gave the former San Francisco 49er a shot, he should impose strict rules. Including a warning that if Kaepernick re-started his protests during the playing of the national anthem, he would be fired. Harbaugh often praised Kaepernick as a serious player. For instance, in June of last year, the coach insisted that Kaepernick was a worthy NFL starter. “I do believe that [he’s an NFL starter], yes. He’s still in his 20s and has been very successful at the NFL level as a starting quarterback. My record is well-documented that I think he will win championships before his career is finished,” Harbaugh said on the Rich Eisen Show. On the other hand, the coach slammed those who claimed that the NFL had “blackballed” Kaepernick, calling it “intellectually lazy” to think so. Despite all that, though, the Ravens took a pass on signing the infamous Kaepernick and instead signed arena league quarterback David Olson in July.